Gently cleanses your hair while infusing it with a reparative blend that will improve your hair’s overall health, leaving it soft, shiny and full of body. 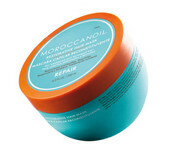 Gently detangles and reconstructs hair while infusing it with argan oil, keratin, fatty acids and protein. 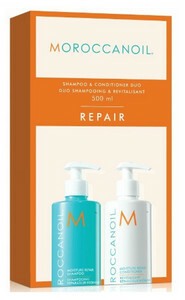 Helps restore moisture, repairs damaged and chemically treated hair. Conditions hair back to its natural health.